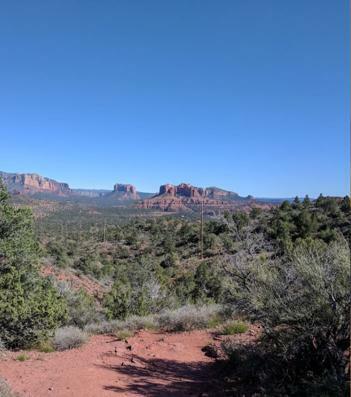 Sedona Arizona is a perfect site for the first MathWorks excursion into lifestyle products. 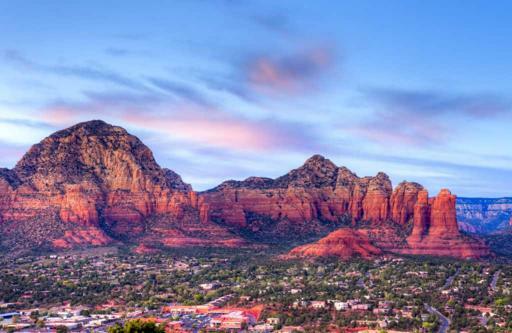 Sedona is a city ... in the northern Verde Valley region of the U.S. state of Arizona. As of the 2010 census, its population was 10,031. Sedona's main attraction is its array of red sandstone formations. The formations appear to glow in brilliant orange and red when illuminated by the rising or setting sun. The red rocks form a popular backdrop for many activities, ranging from spiritual pursuits to the hundreds of hiking and mountain biking trails. Sedona is the site of the first MathWorks venture into retail marketing. Similar to the successful Apple outlets, this store features products made with MATLAB that can enhance a visitor's Sedona spiritual experience. One popular item, intended to attract visitors to the store, is biorhythms. For only $1.99, a customer who reveals their birthday can have a printout of a personal biorhythm. As a special attraction, on a customer's birthday the biorhythm is free. 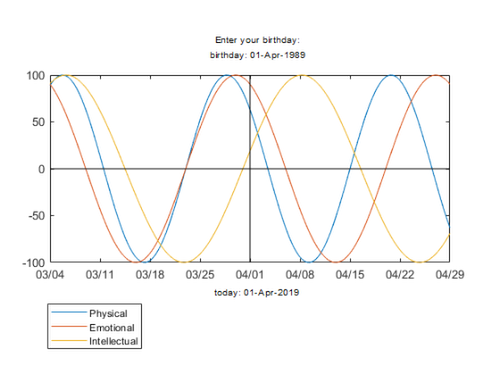 Here is an example, the biorhythm of someone whose 30th birthday is April 1, 2019. People with this birthday will have an exceptionally fortuitous 10-day period. Two and three days prior to the birthday their physical and emotional capabilities will be at their peak. Their intellectual capability will be at its 33-day maximum a week after the birthday. 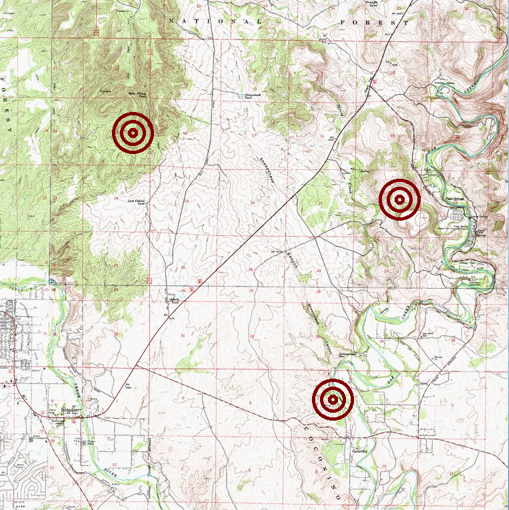 For many visitors to the Sedona MATLAB store, the highlight will be their personal energy vortices. For $29.99, a customer who supplies their complete horological background, including the dominant zoological sign at the moment of birth, can obtain a topographic map of the Sedona area with regions of maximum personal spiritual energy highlighted. The service includes the exact longitude and latitude of these personal vortices for use in GPS devices. Here are examples of energy vortices for certain people. 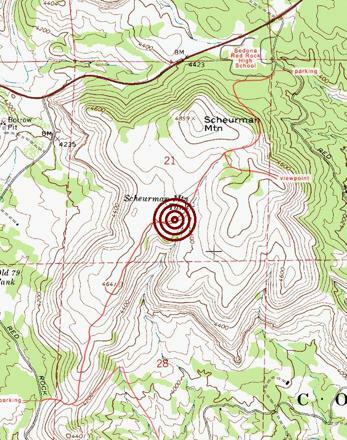 Another example is a vortex easily reached from the Schuerman Mountain trail. The view from the Schuerman vortex.